Is Foxx Testing the Waters? 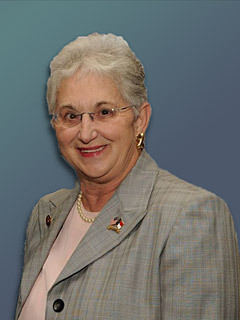 We’re skeptical that veteran congresswoman Virginia Foxx will ultimately enter the Senate race. Her only comment thus far on the race is that she’s been told “not to say no yet” which isn’t a strong indicator of interest. Foxx and Berger are also said to be close and that they won’t run against each other. Then there’s the fact that, if elected, Foxx would be 71 years old – quite old for a freshman senator. And given that the NRSC is putting a lot of pressure on candidates to avoid a nasty primary, one has to think that the chances of a Foxx entry aren’t so good. That said, the N&O is up with a story saying that Foxx will speak at a Republican fundraiser in Chapel Hill. Rob Christensen writes that the move is “likely to spur speculation” that she is testing the waters for a Senate bid. So let’s speculate. Could Virginia Foxx win? The answer is a definite yes – at least in the primary. In fact, polls show that Foxx leads the Republican field. This shouldn’t be too surprising. The Senate race hasn’t begun in earnest yet, and most of these polls come down to name recognition. But of those who do know her, Foxx is perceived favorably. Her numbers with GOP primary voters are stronger than any other candidate’s. Foxx is also a strong fundraiser and already has a war chest of $1.7 million, so if she entered she would have more cash on hand than any other candidate. Moreover, she’s adept at serving up the red meat that the GOP base loves, and there are no concerns that she is a RINO or a moderate Republican who will betray the Tea Party cause. Even if Foxx didn’t win the nomination, she would have a substantial effect on the primary by pushing all the other GOP contenders to the right. That won’t, of course, prove to be of much help when it comes to defeating Hagan in November. Now for the general. Let’s assume that Foxx wins the Republican primary. Most observers would assume that she’s DOA in November – another Buck, Angle, O’Donnell, Akin, or Mourdock. Perhaps. But political outcomes are never set in stone, and none of Foxx’s past comments are fatal to her candidacy. And in terms of candidate quality, I don’t think Foxx is the worst Republican that NC has to offer. Any Republican, by the way, is guaranteed to get about 45% of the vote. But certainly, for Foxx to actually win the general she would have to soften some of her rough edges. Does she have the ability to do so? One way to test the strength of any potential candidate is to look at how they performed in the past in competitive races. Foxx, however, despite being reelected to her 5th district seat multiple times, has never had a competitive race since she won the Republican primary for her seat back in 2004. The primary, then, boiled down to “who is the most conservative” – a far different dynamic than the one Foxx will face in the general against Hagan. Interestingly, in the congressional primary Foxx defeated furniture CEO Ed Broyhill, who has since endorsed Tillis. Foxx’s other opponent, who she defeated in a runoff, was the notorious Vernon Robinson. The bottom line – if she runs, Foxx would be a formidable contender for the GOP nomination. If she announced, she would become the instant frontrunner. Her standing in current polls is not based on name recognition alone but highly favorable ratings among very conservative voters, especially in her home base of northwestern North Carolina. Does Foxx run? In the end, I doubt it. But she could surprise us. PPP’s newest poll on the Senate race should be out soon. It will be the first poll conducted without Renee Ellmers, so it’s possible the numbers will shift. But don’t look for anything major. My guess? Foxx still leads.